This PODhouse consists of prefabricated modules that can be assembled to form a nice sustainable micro home. 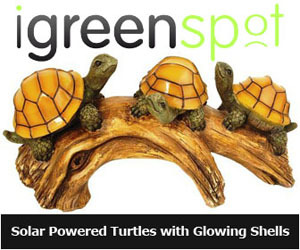 You can place it in the garden or backyard office, even for a secret holiday hideaway, nice isn’t it? 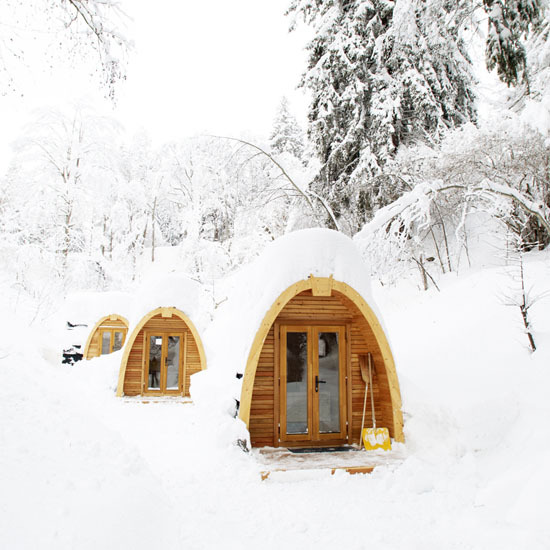 Designed by Swiss design firm ROB (Robust Outdoor Brands), this is a great low-impact housing solution that anyone can use. 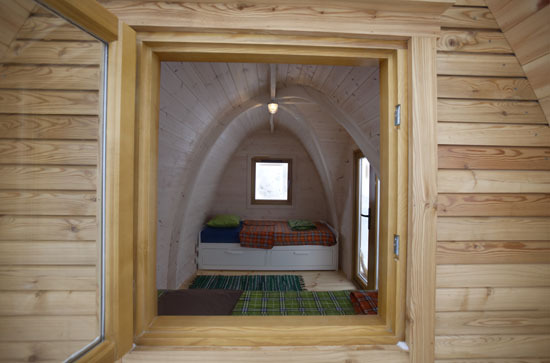 Deveoped since 2003, this micro home has since been optimized, tested and improved. 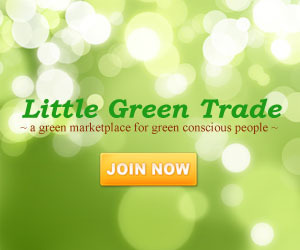 It is now available for purchase. 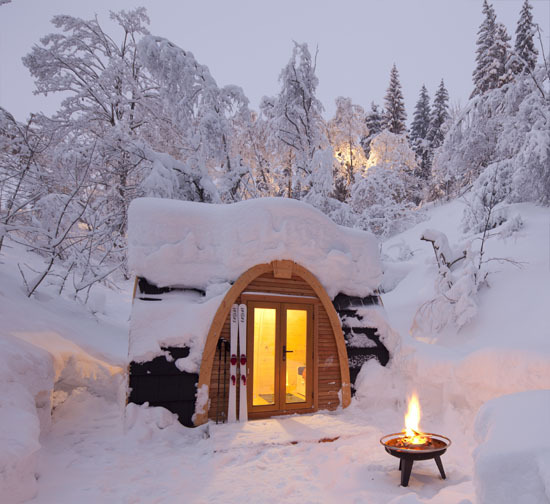 The idea of PODhouse was based on the urge to improve holiday adventure experience of camping during winter months in the Swiss Alps. The interior is very simple, no table whatsoever, just two beds and a heater. 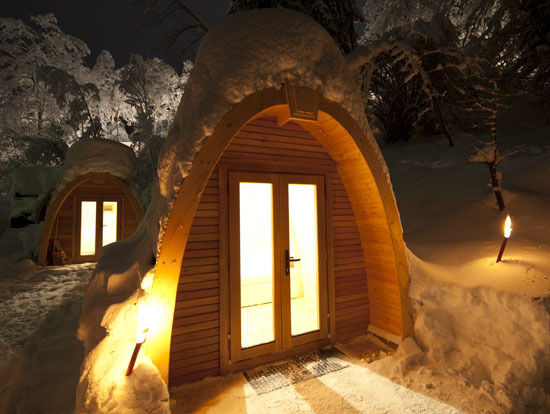 These pods have been manufactured using FSC certified wood, the floors and walls are very durable and offer good insulation. 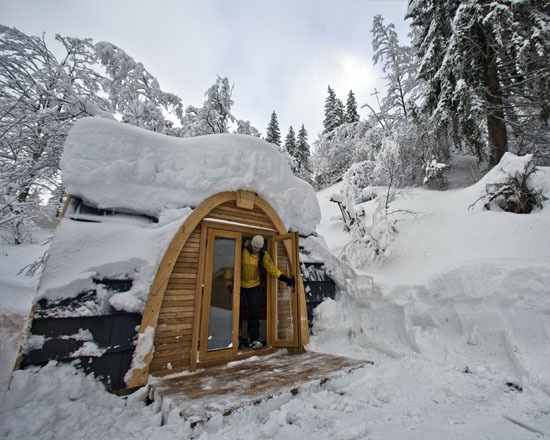 For those of you who want to experience staying in this PODhouse in wintery environment, you can try to stay at PODhotel in Flims, Switzerland. 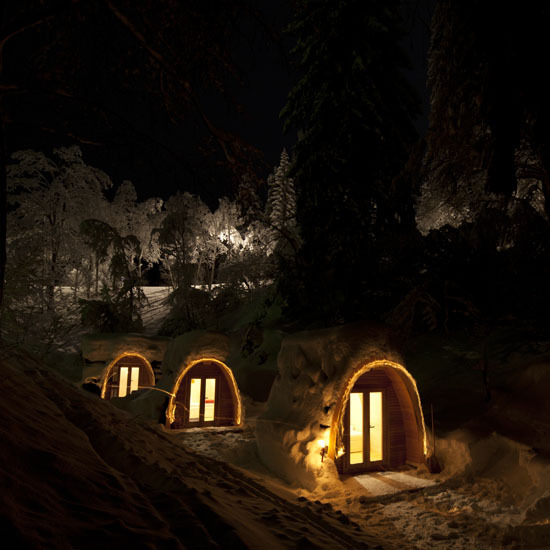 This hotel offers several PODhouses available to rent, you can choose between a 2-bed or 3-bed Pod equipped with electricity, heater and light. 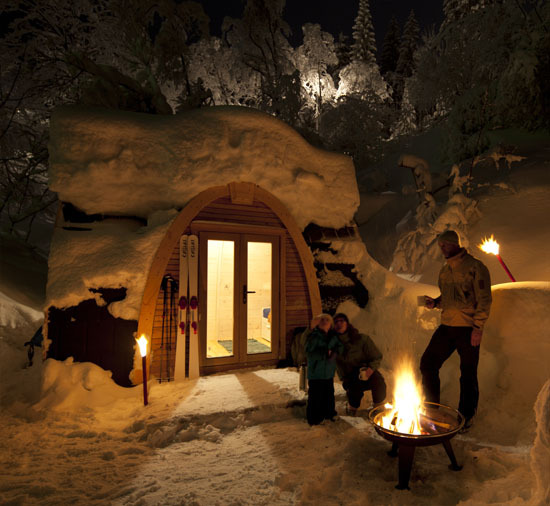 PODhouse is a modular home, therefore, you can extend this pod with more modules to get more room. Simply join the prefabricated extention to the original PPDhouse to get more space to keep your luggage, equipment or a small office. Other fantastic addition would be a solar panel roof and an extended terrace. 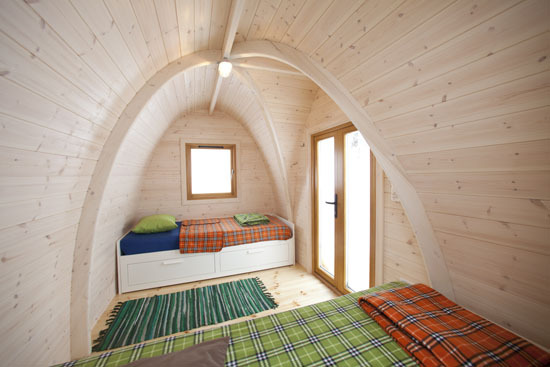 Unfortunately this PODhouse doesn’t come with a bathroom facilities, if it did, it would be a perfect micro home. Wait… what are you supposed to do without a bathroom? !